Ceiling Light Kit. 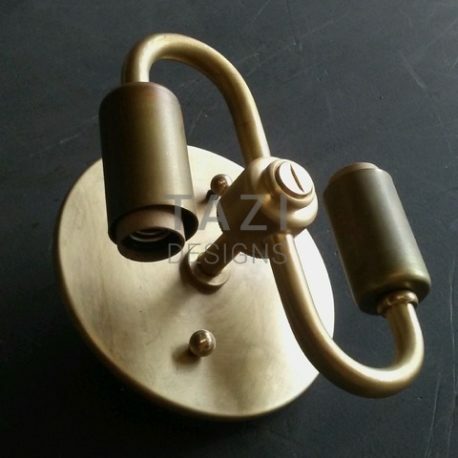 This is suitable for a lampshade that is 8″-16″ in diameter. 2-bulb cluster, using all brass parts. 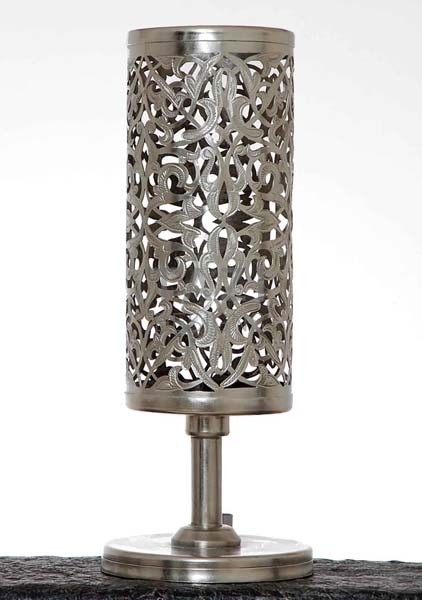 Suitable for dimmable Candelabra bulbs 40watts or LED bulbs 120v. Note: 3-bulb, 4-bulb, and 5-bulb clusters also available upon request. Wiring and shipping are not included. WIRING: Please note that lighting products are priced without electric components. 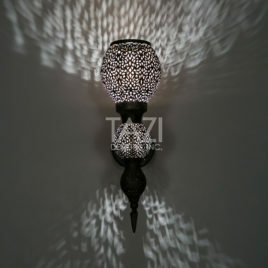 Because of the different wiring standards in Morocco, the wiring is done in the United States and is priced separately. 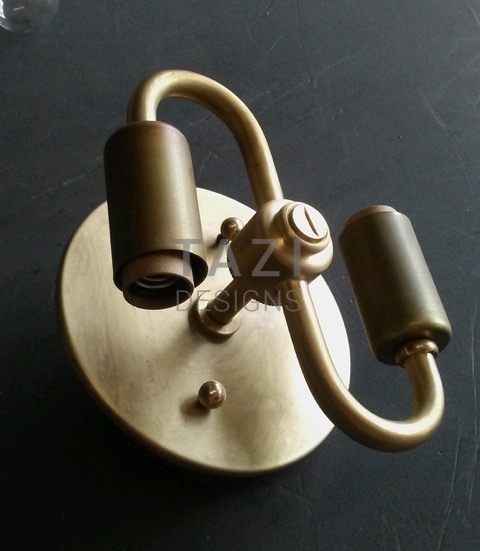 We offer custom wiring out of our Sausalito, California shop and we use high-quality lamp parts to wire each fixture. UL listing is also available at an additional charge. SHIPPING: Please provide a complete address for shipping quote. 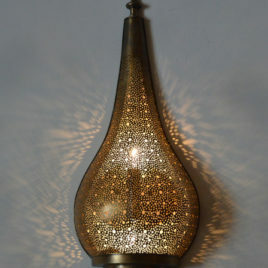 This beautiful hand-pierced brass sconce in dark bronze finish is artisan-made in Morocco. 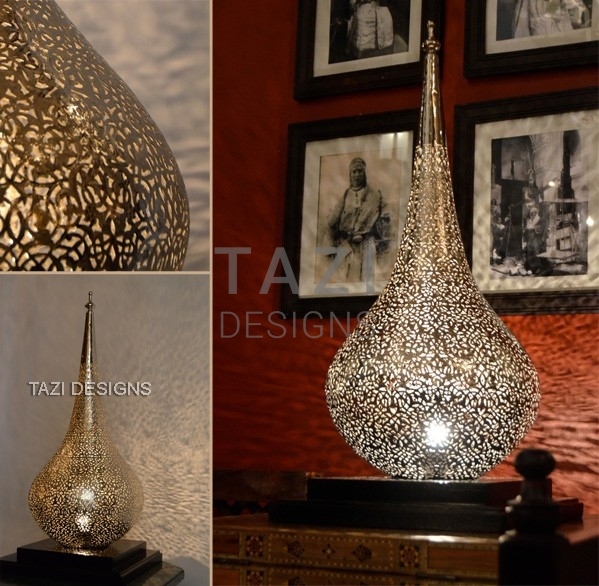 A Moroccan Torch Wall Light from Tazi Designs. Made in Morocco. 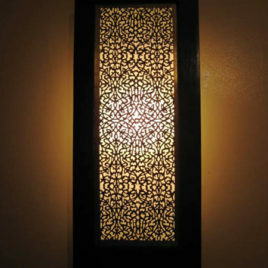 Luxury moroccan wall light with a wood frame. 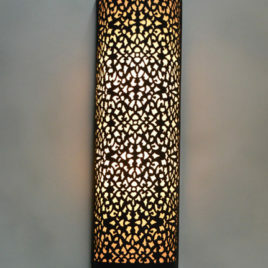 The small and big pin-dot openings in our Fatima wall sconce create fantastic mood light.